As far as Rent to Buy is concerned, despite the fact that Italy is probably the most advanced country in terms of judicial and fiscal regulation, it is certainly among the most backward when it comes to the specific awareness and correct application of this property purchase method. Rent to Buy was introduced in Italy in 2009 thanks to the pioneering contribution of a real estate agent who implemented and spread the knowledge of the system. This agent is one of the two co-founders of this website. In 2014 Rent to Buy was formally introduced into the Italian legal system (Decree 133/2014 Art 23) but estate agents are still reluctant to change their traditional approach and get themselves in line with Consumer/Buyer expectations. In fact, taking a look at the online property listings, Rent to Buy advertisements make up only 0.5% of the total, while at least 50% of the Vendors would accept this method in order to sell their property. 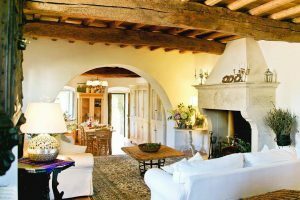 So if you find this method the one for you, be aware the vast majority of Italian estate agents are not ready to provide this kind of specialist service: indeed the assistance of a specialist in this acquisition method is absolutely essential. After several successful transactions, we have managed to establish the Rent to Buy procedure to help you buying your property in Italy. We act as Buyer Agent / Property Finder and unlike the typical agents we don’t limit your choice to a small property database but reach out to the entire market, to both Owners and Agents. This means our clients will initially have access to all the properties on the market and ultimately to a selection of those which are Rent to Buy-friendly. We are involved in this crucial phase before the client visits the selected properties, in order that the Rent to Buy purchase will go smoothly. 1) Client interview (video-conference) with detailed understanding of the inquiry and budget. 2) Market research scouting the whole market for properties matching the client’s instructions. 3) Sending the client the list of properties which match the inquiry/budget criteria. The client then makes a shortlist of properties and sends it back to us. 4) Verification for each property selected whether it will be possible to conclude with the Owner the Rent to Buy purchase method. 5) Visiting the properties matching the criteria which have passed all the previous 4 phases. 6) Choosing the favorite property and starting the purchase procedure.